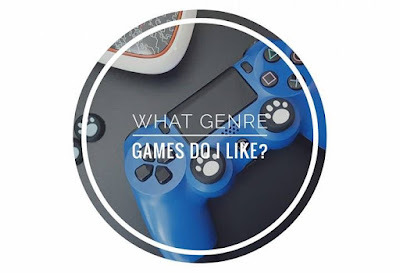 Home Gaming Lifestyle What Genre Games do I like? Let's talk about different types of video games and which kind are my favourite to play, there are a huge variety of games when it comes to this, I'm not that great of a player and tend to stick to games that I know I can play without getting too frustrated but now and then I do like to push myself and see if I can try a game that I wouldn't normally play. I just want you all to keep in mind that not everyone will like the same genre but that doesn't make them any less of a player than you. PvP stands for player vs player, it's where you and another player will fight against each other and kill each other online, games where you play against a computer controlled opponent won't be known as PvP, this will be known as PVE (play vs equipment) I prefer to play PvP as I'm playing against real people and it feels a lot more competitive for me. One of my favourite games for this would have to be Destiny, I have been playing it since day one and I couldn't not play it seeing as it came with my PS4. within destiny there is a lot that you can do, I have exhausted a lot of the game and it can be repetitive but I do enjoy playing Crucible, my favourite game from the crucible options would have to be control, I love having to fight over players to capture a zone. I'm sure most people started off with platform games, they've been a favourite of mine for ages, I'm not that good at them and they do annoy me sometimes games such as Mario and Donkey kong are the best examples of a platform game. 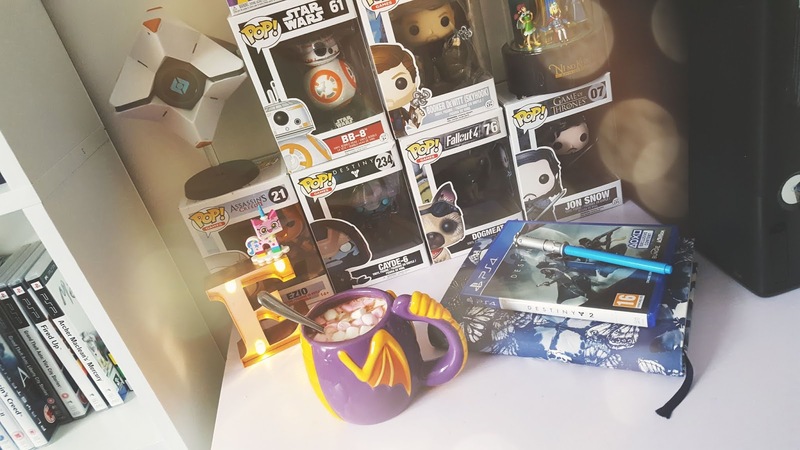 Two of my favourites use to be Rachet & Clank and little big planet, I spent so many hours on LBP and loved playing online with my sister and highly recommend LBP for kids. There is one main platform game I really want to play and It's called Unravel, It's also a puzzle game, whilst playing as yarny you will have to create bridges from the yarn on your body (sounds a bit weird writing that down) the yarn from his body is the main thing in the game you use to get around and solve puzzles with. Adventure games are video games where the player will play the role of Protagonist where you will be able to explore and puzzle solve, it also normally includes an interactive story. I have a huge list of adventure games that I enjoy playing, the top of the list is Assassins Creed, as much as I didn't enjoy all of them and have been put off playing a few of them because they aren't all as good as AC2 they still all take you on an adventure. Another adventure game I really enjoyed was Dishonored, I would say it's a mix of adventure and stealth, the play through of it was really enjoyable I have yet to play the sequel to it. The next game I need to finish that is an adventure game is Witcher 3, I borrowed my sister's copy of it and never got that far before I moved house with James so I may pick up a copy of it from CEX to play through. My sister Jane really loves it and was the one who recommended that I should play it all the way through and I believe her when she recommends a game. Not a lot of people are huge fans of this kind of game as they feel too restricted, it's how I feel with a few games that are interactive movie genre but there are two main games that I love from this genre which is heavy rain and La Noire. Interactive movie games allow you to control some of the moves of the main character(s) such as if you're in danger you can perform a certain act to decide what the next part of the story will the buttons you need to press to avoid being killed or hurt will appear on the screen. I felt Heavy Rain and La Noire didn't restrict me too much, unlike The Walking Dead games which felt so boring and I hate not being able to explore much in a game. Everyone knows what sci-fi stands for so that takes care of the definition of this genre, one main game (or should I say two?) that I played religiously that is Sci-fi is Bioshock 1/2, I was so terrified to play it to start off with because of what others had told me too so I guess you could say it is a bit of a horror movie but more so sci-fi, I love every element of the game and can't wait to get the collection on PS4. The other game that I played the hell out of which would be sci-fi is borderlands 2, it annoyed the hell out of me but at the same time it's one of those games you can go back and play and get drawn into all over again, Destiny really reminds me of the borderland games and I think that's why I like it so much. ARPG games are games where a player has direct control over characters, they use combat systems which are similar to shooter games or hack and slash games, these games include mission systems for example Fallout 4 would fall under this category. In Fallout 4 you take on the role as the sole survivor who wakes from a cryogenic stasis in Vault 111, throughout the game you take on different missions including the main story and have a lot of control over what you can do same with Skyrim (another favourite game of mine). The good thing I like about Skyrim and fallout 4 is their offline games and you can explore a massive world and have as much control as you want when it comes to exploring and your actions. Just a side note, one of my friends suggested I try something new on my blog which I thought was a good idea, she suggested I do a Throwback Thursday (as I do them on my Instagram sometimes) on old games which James and I both own but do it maybe twice a month so next week I shall be posting a Throwback Thursday from the collection. While I am not a gamer but it was fun to know more about gaming, such as PVP is player vs player. 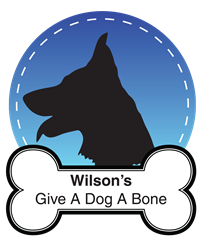 Interesting stuff and great blog you have out there. Keep up the great work!